Awake and Alert. CHRISTIAN ZIONISTS ARE PHARISAICAL MURDERERS AND MEMBERS OF THE SYNAGOGUE OF SATAN: Chinese Firm with Israeli Links for Cleanup of Lebanon’s Litani River! Chinese Firm with Israeli Links for Cleanup of Lebanon’s Litani River! Lebanon's southern river of Litani, which is heavily polluted. Lebanese daily, Al-Akhbar, reported on Thursday that Lebanon’s Council of Development and Construction, is tending to sign a contract with Chinese firm for the cleanup of the heavily polluted Litani River. The paper raised many questions over conditions surrounding the bid offered by the firm, Jiangsu Nantong, noting that the company had direct links with the Zionist entity. 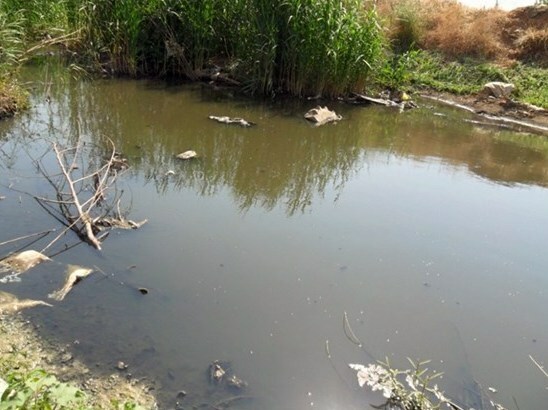 “There are several doubts over the issue,” Al-Akhbar reported, saying that the firm had presented a suspicious offer to be tasked with the cleanup of the southern river. The daily said that the Chinese firm offered a cost of € 19 mn for the project, noting that such cost is even less than the cost estimated by the Lebanese government itself (€ 20.5 mn). “Upon carrying out a search on the Chinese company, it was clear that the firm had direct contact with the Zionist entity,” Al-Akhbar reported. The firm has an office in Tel Aviv and signed in 2016 several contracts with the Israeli ministry of housing, the Lebanese daily quoted Israeli report published by Haaretz newspaper in October 26, 2016.